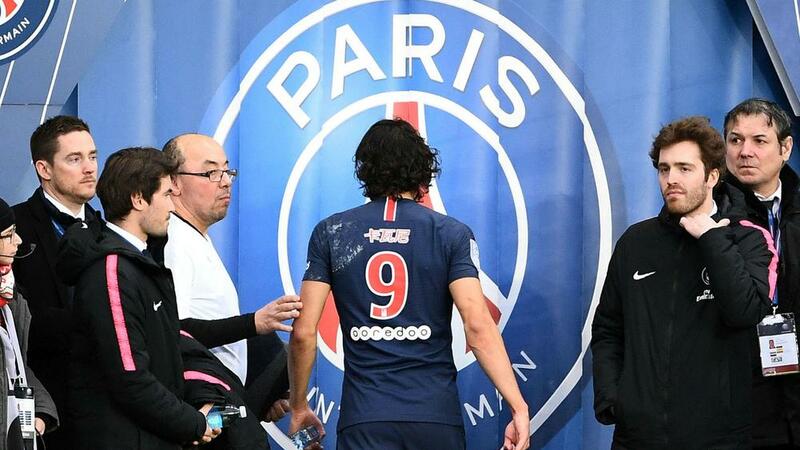 Tuchel: Cavani Injury Is "Worrying"
Thomas Tuchel is not optimistic Edinson Cavani will be fit for Paris Saint-Germain's Champions League clash with Manchester United after limping out of Sunday's win over Bordeaux. It was his final involvement, though, as he hobbled off soon after following a brief discussion with Tuchel. The Uruguay international did not return for the second half, and the PSG boss does not hold out too much hope in having his talisman available for their midweek trip to Old Trafford – when they will already be without Neymar. "No, I don't have good news," he told Canal Plus. "We have to wait. "I do not know [if he will be fit]. Yes, it's worrying, it's not a good sign. "If your key players are not there it's different. We do not have another Edi, we do not have another Neymar."